Without a doubt Deane Pieters has built his exemplary executive career on extraordinary achievement as a former freestyle Olympic swimmer. Deane represented Australia in swimming from1991-1993, competing at the 1992 Olympics in Barcelona. He is also a former world surf life saving champion (1990), and Australian surf life saving representative (1990, 1991 and 1996). Deane was a recipient of the Australian Sports Medal in 2000. From the young age of seven, Deane learnt to set goals and the tough discipline it takes to achieve them. Applying focus, passion, self-belief, hard work and dedication is the only way to achieve the ultimate dream of representing your country at an elite level and these qualities have been the hallmarks of Deane’s professional career so far. No one is more focused than Deane on achieving and exceeding performance goals. As a high energy, goal driven senior executive and marketing strategist, Deanne approaches each new business challenge with his built-in flair for creative problem-solving and measured risk-taking to drive consistent bottom-line growth and returns on investment. Deane’s career which spans more than 22 years in professional and sports administration – has seen him lead marketing and commercial operations in football, cricket and surf life saving with a proven track record in profitability growing business units. Continuously building upon his broad industry knowledge through consultation and self education is pivotal to Deane’s approach to achieving success in business. He prides himself on nurturing mutually beneficial and long lasting relationships with an extensive network of colleagues, corporate associates, mentors, and industry leaders. Deane is General Manager of Business Strategy & Growth for the West Coast Eagles Football Club and formerly held the position of General Manager of Marketing from 2001 to the present day. The West Coast Eagles is one of Western Australia’s premier sporting clubs, a leader both-on-and-off the field in the AFL competition. Joining the league in 1987, the team was the first non-Victorian club to win a Premiership with its triumph in 1992 followed by further success in 1994 and 2006. Deane has built his leadership architect on three principles: people, performance and professionalism, and is driven to get the best out of people. His ability to communicate at all levels of management, treat people right, inspire greatness in others and strive for continuous improvement and innovation are the qualities that have been the trademarks of his leadership approach. Deane frequently draws on his education and knowledge as a graduate of Stanford Business School, Stanford University (USA). His commitment to professional development has provided him with the necessary tools to strengthen his skill-set in the areas of strategic thinking, leading people, creating and delivering customer value, strategic change management, and evaluating and managing organisational performance. 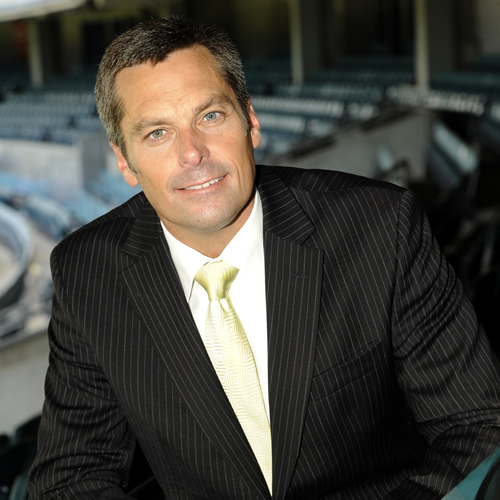 Dalton Gooding, Managing Partner of Gooding Partners, and former Chairman of the West Coast Eagles Football Club – distinguishes Deane above other senior executive team leaders by his “dynamic approach to developing a clear vision and articulating it to the board, staff and customers. Deane has the knack of inspiring loyalty, passion and optimism in others, which is essential in our competitive industry. When adversity strikes, or when others may procrastinate, he tackles problems head-on and resiliently drives the end result to a winning conclusion. Whenever Deane is involved success is sure to follow”. A prime example of Deane’s resilience and never-give-up attitude to achieving success is when at the age of 41, he won one of the world’s greatest open water swimming events – the 19.7kms Rottnest Channel Swim in Western Australia in 2010 – after a disappointing loss the year before. Deane is a life member of the Stanford Business School Alumni after graduating from the Stanford Executive Program (California USA) in 2008. He is also a graduate of the Australian Institute of Company Directors (GAICD), a member of the Australian Sponsorship Marketing Association and affiliated member of the Australian Marketing Institute. Deane is a non-executive member of the Australian Olympic and Commonwealth Games Team Appeal Committee. A profoundly effective speaker, nationally acknowledged for his leadership, integrity and ethical vision, Deane offers his audience compelling insights into corporate strategies, marketing and team motivation in an informative, motivating and entertaining style.